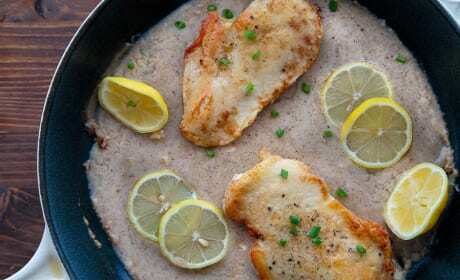 Lemon Garlic Chicken brings a new makeover for chicken cutlets. Lemon, garlic, and scallions and just 20 minutes of cooking time. 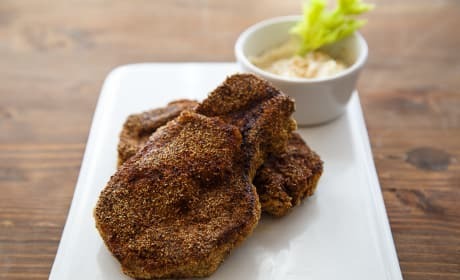 Gluten Free Pork Chops take a classic Southern dish and make it gluten free. Quick and easy! 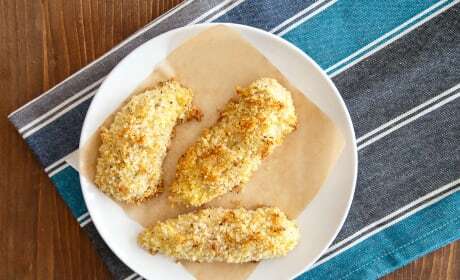 Cheesy Baked Chicken Tenders will bring out the kid in you. You'll be delighted with this grownup version. 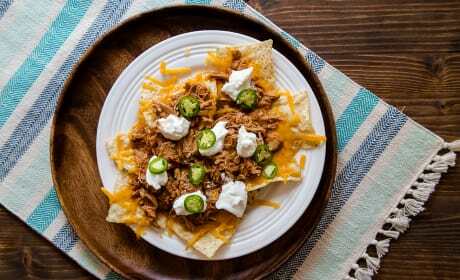 Shredded chicken nachos for two make game day great! 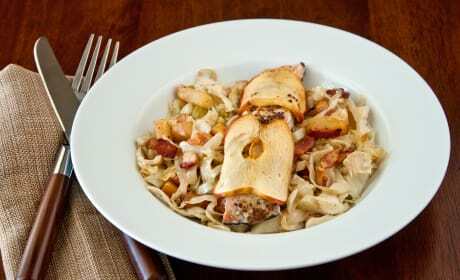 Use leftover slow cooked chicken for a delicious dinner. 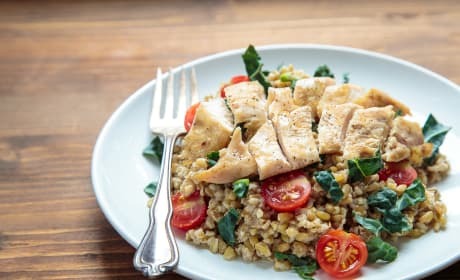 Freekeh salad with chicken is packed full of goodness. Whole grain, hearty, and tasty too. 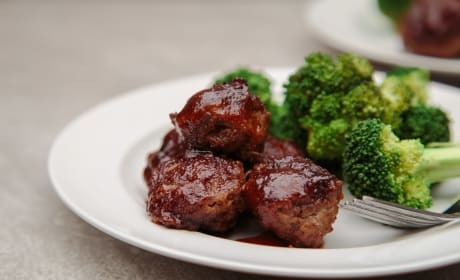 Easy Sweet and Sour Meatballs make a perfect appetizer or dinner. So addictive, you'll make them again and again! 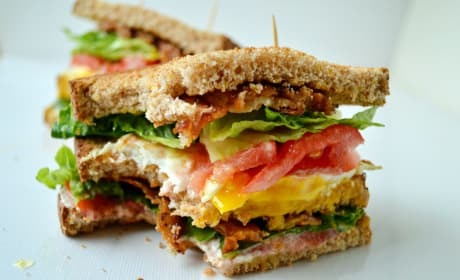 Breakfast BLT Sandwich is a mouth-watering BLT for breakfast. 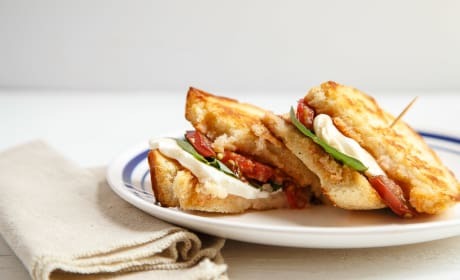 Only with an egg and savory cream cheese! 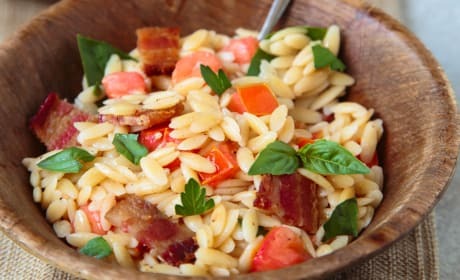 Bacon Tomato Pasta Salad is an easy dinner for two. All the flavors of a BLT in one bowl. 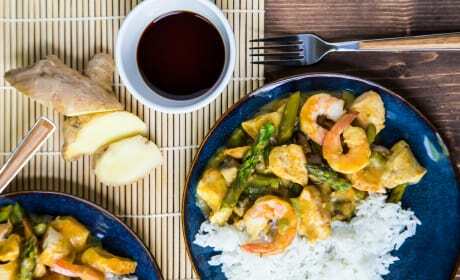 Chicken and Shrimp Curry that&#39;s way better than takeout. It&#39;s so good you&#39;ll be making it twice a week! 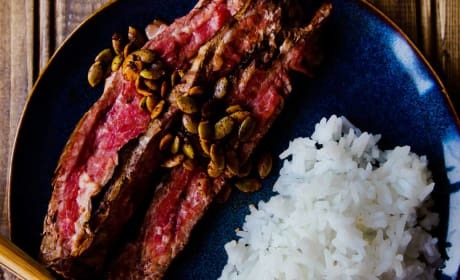 Pan Seared Flank Steak is simply incredible. Add some spicy pepitas, and you&#39;ve got one amazing dinner. 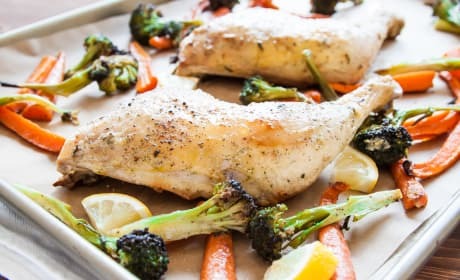 One Pan Roasted Chicken &amp; Vegetables is dinner perfection. The smallest amount of dishes from an amazing dinner ever. 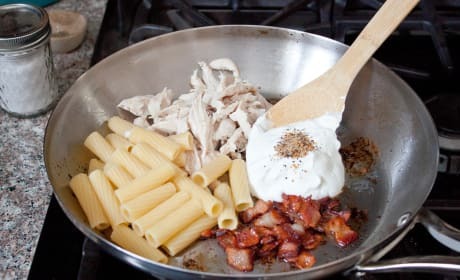 Chicken Bacon Pasta for two. 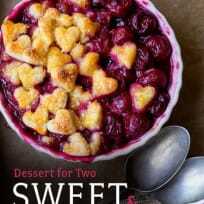 A perfectly sweet dinner for just you and your sweetheart, or your best girlfriend. 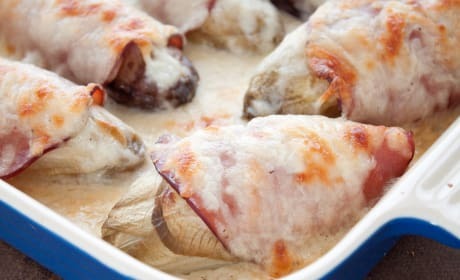 Easy Endive &amp; Ham Bake is what&#39;s for dinner. Perfect rainy day food. 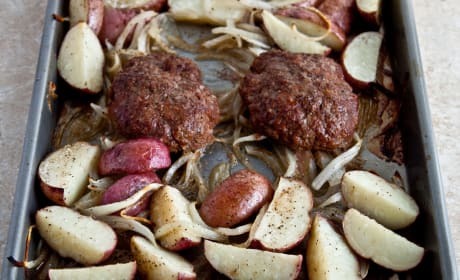 Homemade Salisbury steak with roasted potatoes. Could you ask for more? Sure - it&#39;s made in just one pan! 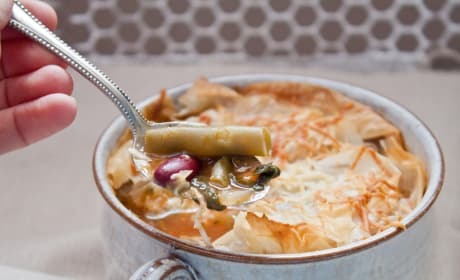 Vegetable pot pie is hearty and healthy. Great for those cold winter nights when you need a warm up. 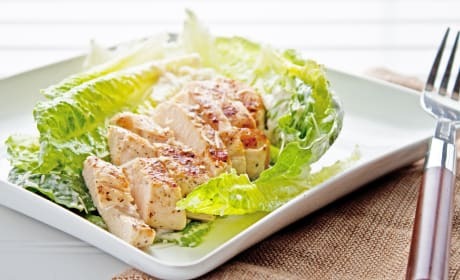 Delicious Chicken Caesar Salad. What's not to love? Homemade Caesar Dressing is a classic for a reason. It makes a great salad, or marinade. 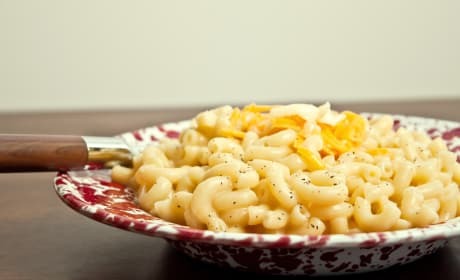 Stovetop Mac and Cheese is the perfect weeknight dinner for two. 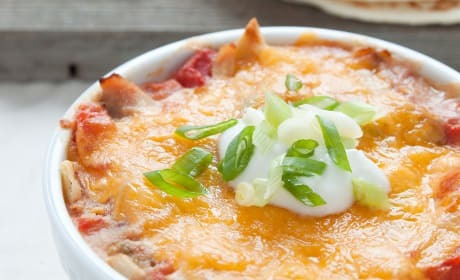 Creamy, cheesy comfort food. Savory sweet Apple Wrapped Salmon is a great dinner for two. Let's stay in for this week's date night, shall we? 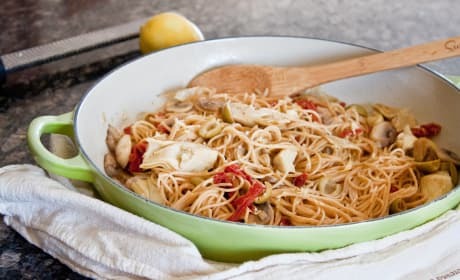 Easy Mediterranean Pasta full of olives, artichokes, and sundried tomatoes. Single girl pasta indeed, but great for couples too! 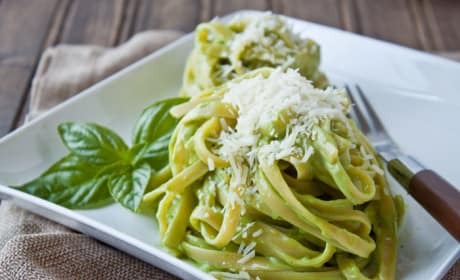 Quick and easy Avocado Pasta is what's for dinner tonight! 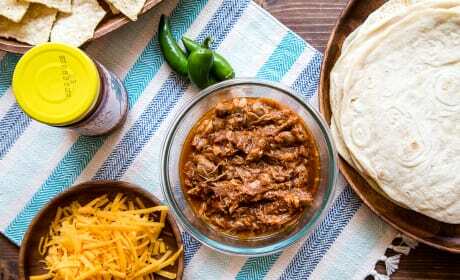 You'll love this twist on an easy weeknight meal.